We just had the most enjoyable Easter ever! 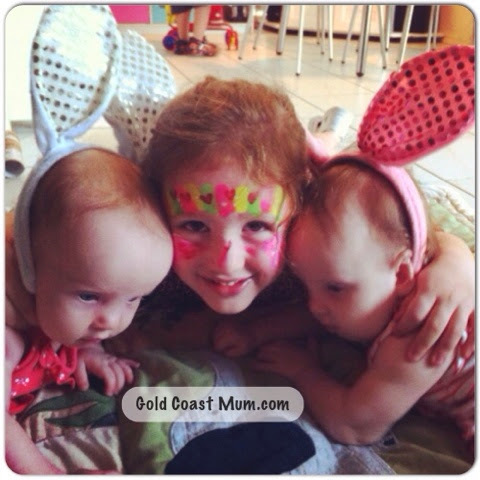 After a super fun week full of school holiday fun checking out the entertainment at Gold Coast shopping centres Australia Fair (Peppa Pig show) and Pacific Fair (Easter performance, cupcake and basket decorating and a circus performance), Easter and our eldest daughter's birthday were also fantastic! Good Friday - we decided at 4pm to call ahead and order fish and chips to pick up at 5pm from Burleigh. Great decision because when we arrived to pick up our order, the queue was out of the door and up the road, and the wait time was approx two hours. 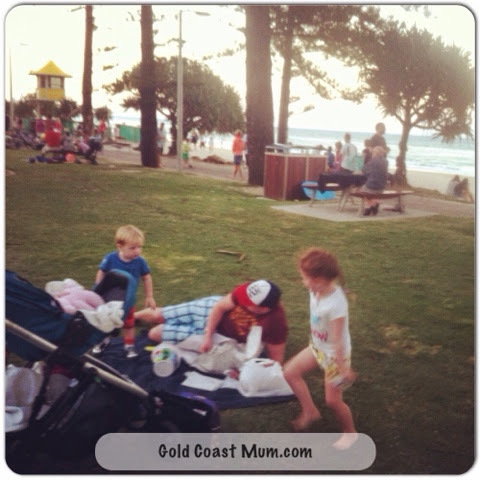 We enjoyed a fish and chip picnic by the beach and the kids enjoyed playing at the park until it was getting dark. 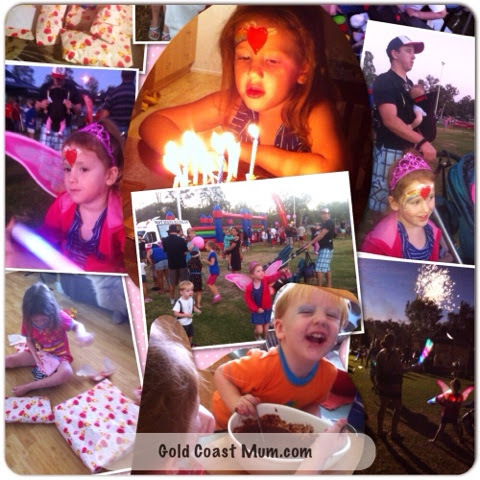 A lovely evening enjoying the best of what the Gold Coast has to offer. 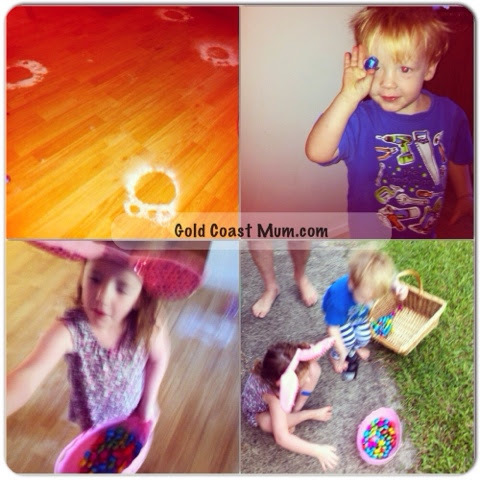 Miss 3 turned 4 & enjoyed opening her presents, doing some craft, making cupcakes as well as visits from some dear family members before we decided on a last minute trip to Ormeau in the late afternoon to check out the My Ormeau Easter Event, as suggested by a friend. What a great evening! 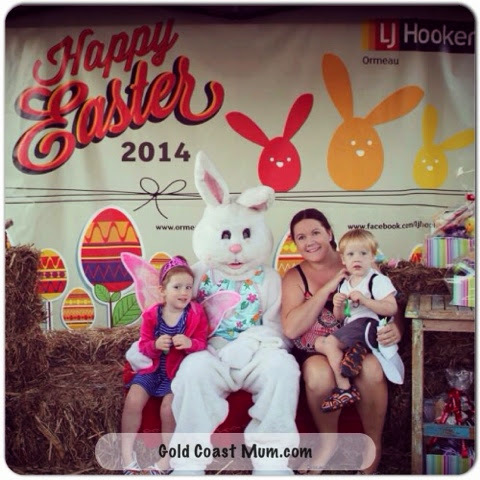 Free face painting, craft stations, bouncy castle, Easter egg hunts, photos with the Easter bunny and more. Then, to top things off, there was a fabulous fireworks display and the kids scored fab glow sticks (also for free!). It was a great, well-run event and our Birthday girl was so pleased that such an event was 'held in her honour' (sssh please don't spoil it for her. We're currently the best parents ever for also arranging the fireworks display for her! ;-). Easter Sunday - the look on Miss 4 & Mr 2's faces was priceless when they discovered the treats left for them by the Easter bunny. 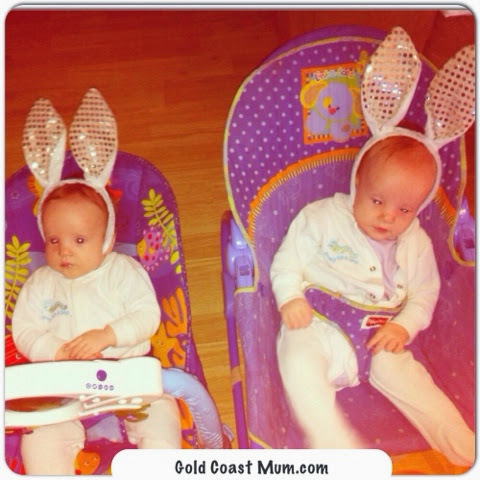 It was also a special morning celebrating our twincesses' first Easter. 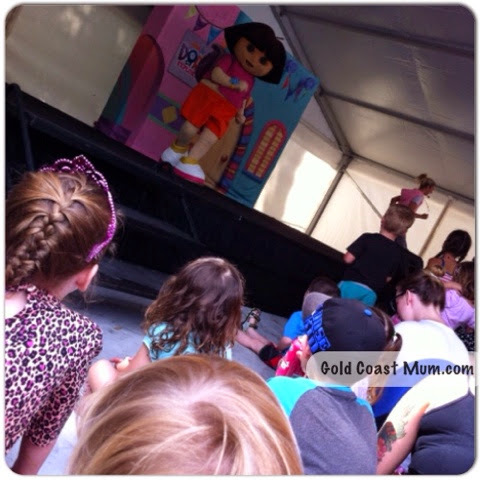 After the kids stuffed themselves silly with chocolate, we headed to Carrara Markets to see the Dora the Explorer show live on stage followed by a pony ride, face painting & bouncy castle.